It’s impossible to drive around Chittendon County and not notice the obvious hump of a mountain that is aptly named Camel’s Hump. Its 4,083-foot peak is the third highest in the state, following only Mount Mansfield (4,393 feet) and Killington Peak (4,241 feet). Camel's Hump is located in the Camel's Hump State Forest in Vermont's Green Mountains. While the peak of this popular hiking destination is part of the Long Trail, there are many other ways up, down, and around this mountain. The first thing that you must understand about Camel’s Hump is that there are two trailheads—one in Duxbury and one in Huntington. Be sure you descend the correct trail lest you find yourself on the opposite side of the mountain from your mode of transportation home. (Unfortunately, this is not an uncommon occurrence.) The second thing to note is that no matter which trail you choose to hike, the views are insane—currently, the green blanket of Vermont summer is prevalent, but the vibrant colors of fall foliage season are sure to follow and cannot be beat. Hiking Camel's Hump is not a one-size-fits-all activity. There are a variety of trails offering different degrees of difficulty. Here are four recommended hikes to suit everyone from the beginner to the seasoned hiker. The Monroe Trail starts on the Duxbury side of Camel’s Hump and is a relatively straight shot up the east side of the mountain. 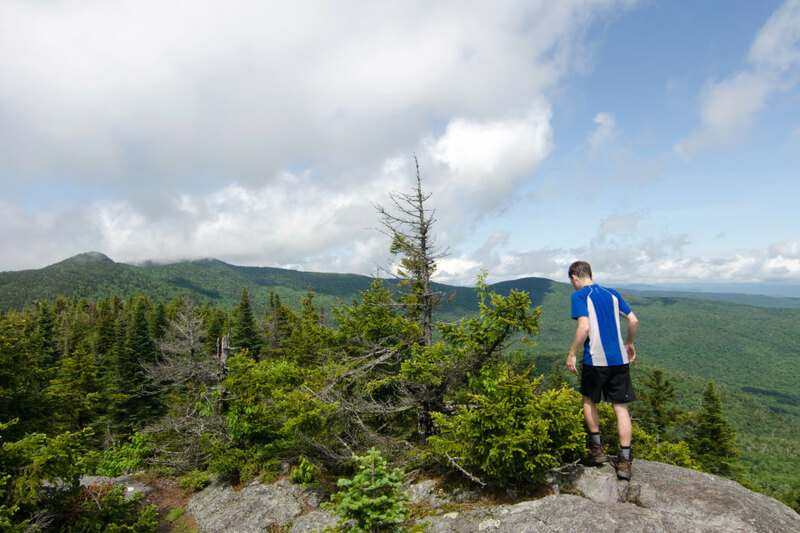 This moderately-challenging 6.6-mile round trip hike winds through a birch and maple forest towards the rocky summit, which is itself a part of the Long Trail. The views from here are stunning and reach Owl’s Head in Canada, Mount Mansfield, the Adirondacks, and Lake Champlain, and on a clear day, even Mount Washington in New Hampshire. For an interesting diversion, take the Alpine Trail off the left side of Monroe; it will bring you past the wreckage of a World War II fighter plane. If you are looking for something more challenging than Monroe, then the Dean Trail is your answer. Start on the Monroe Trail, but about 1.3 miles up, the Dean Trail forks off to the left. Take this and follow alongside a beaver pond, where there are great views of your ultimate goal, the summit of Camel’s Hump. The Dean Trail eventually meets with the Long Trail, which you will follow to the summit. This is a challenging hike with a great deal of rock scrambling and high exposure. 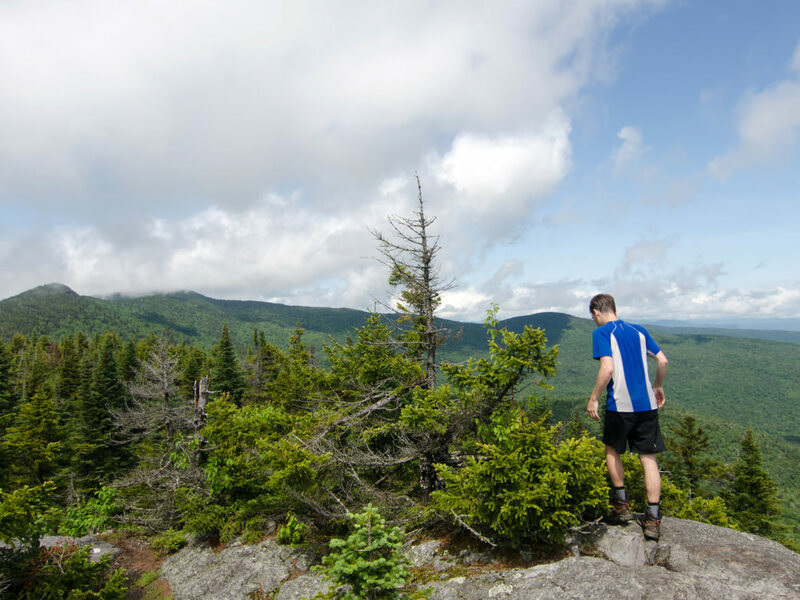 Camel's Hump is the highest undeveloped peak in Vermont with no buildings or man-made structures at its summit, and as the rocky summit is above tree line, it gives hikers a true alpine feel. It’s fun, but if you're not comfortable with skirting around exposed rock or not ready for a relatively arduous climb, stick with the Monroe Trail up and back. A perfect hike for families looking to get their kids out, Bolton Window is part of the Long Trail and starts at the base of Camel’s Hump off of River Road in Duxbury. This is a perfect hike to do with young kids. It is a 3.2 mile round-trip with a gradual incline that offers scenic views and lots of rocks alongside the trail to jump on and off. At the hike’s end, there’s a bench and an overlook of Bolton Mountain. This is a great place to take a break and have a snack or even a picnic. It also serves as the turnaround point for families with younger children, but if you are looking for something a lot longer and more challenging, there is the potential to add another three miles to reach the top of Camel’s Hump. Just remember you are only half-way there at this point and you still need to hike back down making for a 12.4-mile round trip.